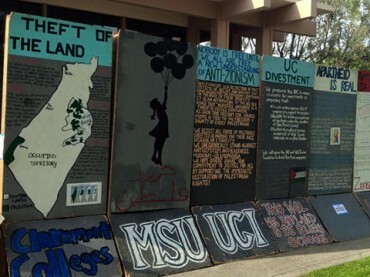 The Students for Justice in Palestine chapter at Pitzer College, part of the Claremont consortium, displayed a mock Israeli apartheid wall on March 31, three weeks after its permit was denied. Set up to kick off “Apartheid Week” at Pitzer, the wall was intended to raise “awareness about Palestinian suffering and the realities of the Israeli occupation,” the SJP chapter said in a press release. Though the release implied the wall would be taken down at the end of the day, the chapter told The College Fix in an email it stayed up until April 2. Despite administration warnings that putting up the wall without permission would result in “consequences,” the school confirmed to The Fix it has not punished the chapter. According to a March 30 letter to Pitzer President Laura Trombley from Palestinian Solidarity Legal Support, Pitzer Dean of Student Affairs Brian Carlisle tried to talk the SJP chapter out of setting up the wall. He told its members in a Feb. 16 meeting that “someone” may try to vandalize or “burn down” the wall, according to the letter. Carlisle also warned the group that if someone submitted a formal complaint claiming the wall was “discriminatory,” members or the entire club may find themselves mired in a lengthy judicial proceeding. Why is the ‘Aesthetics Committee’ judging this? After the chapter submitted the wall proposal to the Campus Aesthetics Committee, as Carlisle directed them to do, the committee rejected it March 9 with no formal explanation. The Aesthetics Committee doesn’t have the jurisdiction to prevent students from exercising political expression, according to the Palestinian group’s letter to Pitzer. “Based on the examples of ‘past and current art and murals Pitzer College’ … all of the projects under the Committee’s purview appear to be permanent or semi-permanent art displays affixed to campus infrastructure,” the letter said. If Pitzer really does “embrace a compelling interest in unfettered inquiry and the collective search for knowledge,” Liz Jackson of the Palestinian group said in the chapter’s release, “there can be no ‘Palestine exception’ to this policy” under California law. 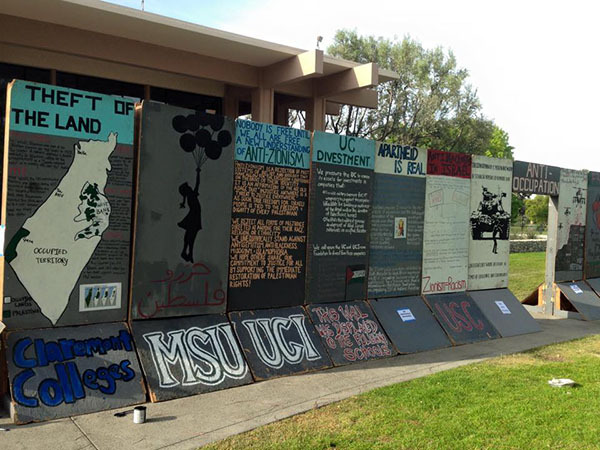 The chapter learned by word of mouth “on or before” Feb. 15 that the Claremont Progressive Israel Alliance had complained to the Aesthetics Committee about the proposed wall, claiming the wall “would make Jewish students on campus uncomfortable,” the Palestinian group’s letter said. Though it doesn’t have a copy of the alliance letter, the chapter said it knows of its contents because it was discussed during a student senate meeting and mentioned in the senate’s Feb. 15 committee reports. Despite the contentiousness of the situation, it seems that the wall staging concluded with little incident. Carlisle said there are currently no disciplinary charges against the chapter or any of its members. Neither Claremont Colleges Hillel nor the faculty adviser for the Aesthetics Committee responded to Fix inquiries. 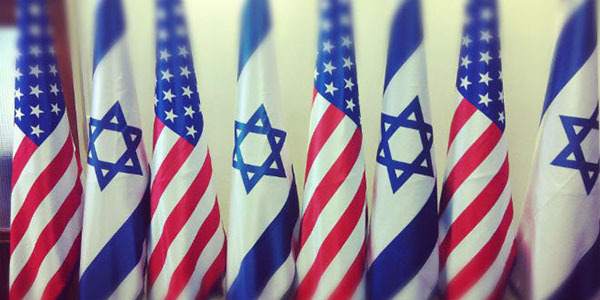 The Claremont Progressive Israel Alliance did not respond to Fix inquiries. College Fix reporter Curtis Chou is a student at Northwestern University. 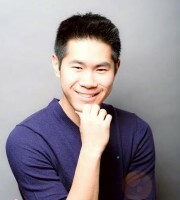 College Fix reporter Curtis Chou is a recent graduate of Northwestern University's School of Communication. During his time at Northwestern, he double majored in Film and Economics as well as minored in the Business Institutions Program.